In many applications digital indicators are becoming so powerful that they are taking on the performance and features of bench amplifiers. It is not uncommon to find features such as dynamic measurements, multiple factors, unilateral tolerances, different output formats, and micro-inch resolutions in higher end digital indicators. And while they may be high-end for digital indicators, they are still about a quarter of the price of a bench amplifier and probe. This is a great benefit for the company. They can get a very powerful indicating device to replace a bench amplifier or upgrade a dial indicator for a very cost-effective price. For the user, upgrading from a dial to digital indicator may be a sudden technology shift. For years the operator was interpreting the pointer's position to read the measurement. In many ways, the human brain is like an analog device, and it can often gather more information more quickly from an analog readout. I have seen QC inspectors make consistently accurate go/no-go readings with dial indicators even before the pointer has stopped moving! They can tell at a glance approximately where the pointer will stop, and in many applications, that is close enough. 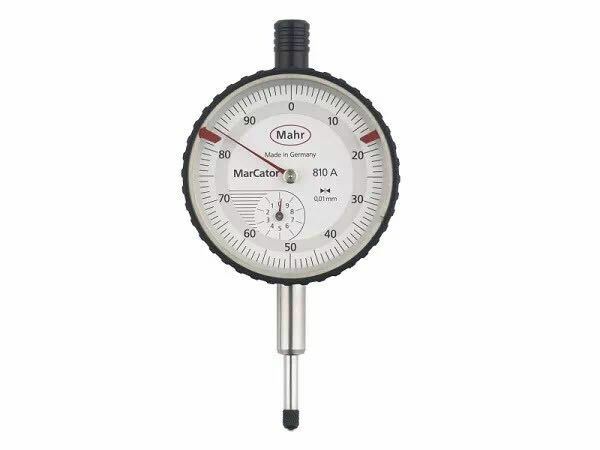 Skilled operators can also "split grads" with dial indicators, i.e., resolve the pointer's position to an accuracy of about one-fifth of the gage's stated minimum graduation value. And analog dials enable the machinist to observe the direction his process is headed. If reading #1 indicates 1/5 of a grad over zero, reading #2 is precisely zero, and reading #3 is 1/5 of a grad below zero, the user may be able to draw valuable conclusions about the condition of his tool. In other words, dials can provide more information than simply the dimensional measurement. An early digital readout would have read zero in all three cases, depriving the user of this additional information. But now give that same operator a digital device that is basically a compacted bench amplifier having numerous buttons, flipping digits, dynamic memories and a bunch of symbols on the dial and he may suddenly go into technology shock. This may be true both for an operator moving to digital indicators, or even newly employed gage technicians as they start working with some new and more powerful measuring products. Many manufacturers of digital indicators have tried to take control of all this flexibility from the operator by setting up passwords or codes as part of the digital indicator's setup process. The idea here is that once the digital indicator is setup with its tolerances, measuring direction, resolution, measuring mode, multiplier, etc., etc., the password would in effect lock the operator out from accidentally changing the setup of the indicator and potentially affecting the measurement results. This "soft" protection is OK for many applications. However, many shop floor operators are pretty inquisitive and sometimes this soft security is bypassed. Suddenly, the setup of the gage changes, and with it results are affected. For life critical industries like medical or aerospace, having soft security may not be good enough. What's really needed is a digital indicator configured and dedicated to the specific application. In other words, it's ordered for the application with the desired resolution, measuring direction, and multiplier for example. It's like getting an indicator your way. This becomes a factory-set process in which there is no way for an operator to change the indicator's function. In effect it is hard wired for the application. This concept is not for everyone. As with anything "custom" it's apt to cost more and the delivery will not be off the shelf. But in a critical measuring process where any setup errors may affect the outcome, special dedicated digital indicators may be the most secure method for ensuring trouble-free results. 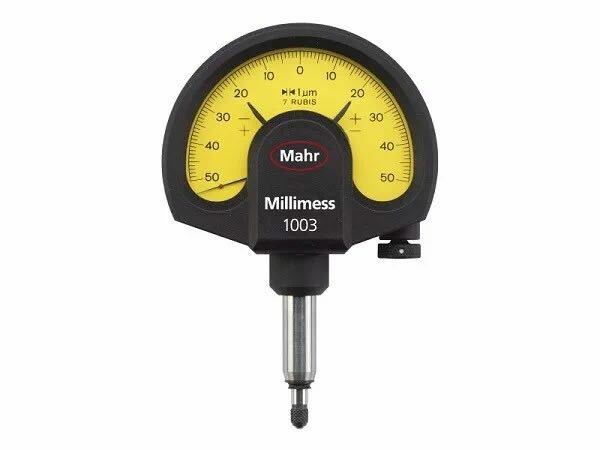 For life critical measurements some applications may require a factory-set digital indicator dedicated to the application to help prevent operator errors. 备案号：鄂ICP备12012654号-2 GoogleSitemap 技术支持：化工仪器网 管理登陆Copyright © 2018 武汉科赛思机电非凡彩票 All Rights Reserved.